Today’s Albert the Alien “summer break” is brought to us by the amazingly talented Kasey Williams! Kasey has captured the essence of Albert here perfectly – about the beauty and wonder of our own world right here. She’s done this beautifully with the two panel reversal – the “reveal,” if you will. 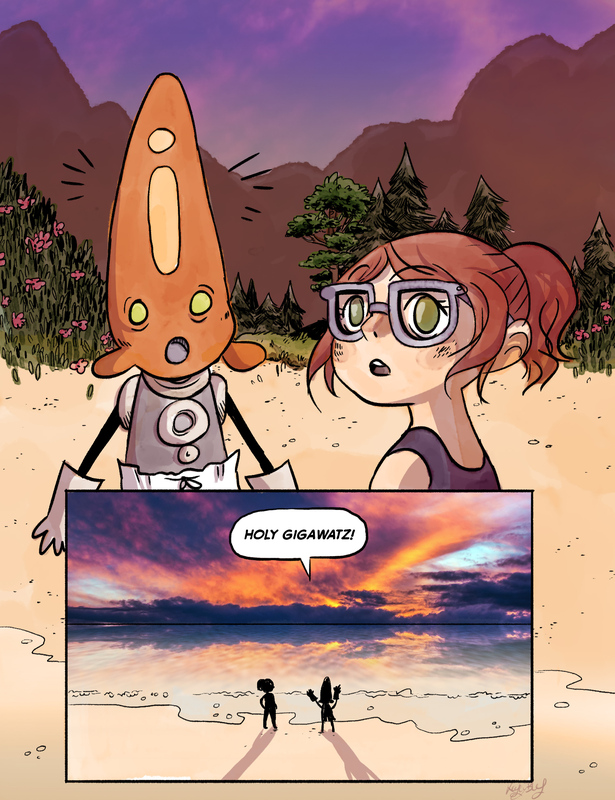 Albert and Gerty looking at something off panel that’s totally incredible, and then showing us what they see – the awesome that is a sunset on the beach.